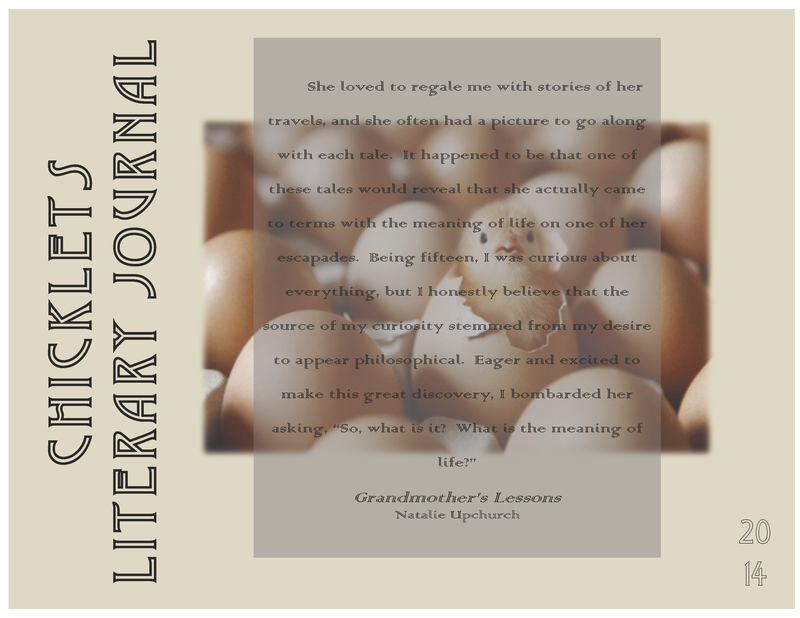 I’ve mentioned that my Literary Publishing class last semester had to follow through with journal concept, which included a literary postcard, a broadside, and the journal itself. Earlier I posted the Chicklets postcard. Here’s the broadside, with text from a story by Natalie Upchurch, also a member of the class. Image | This entry was posted in Project. Bookmark the permalink.